S.R. 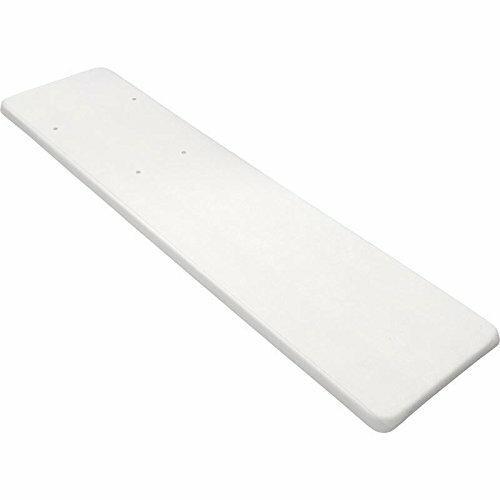 Smith's 8-Feet Fibre-Dive replacement board has a durable acrylic outer body, a non-slip, sanded tread and is pre-drilled with two holes for ease in installation. With hand-laid fiberglass and resin roving over twin laminated wood runners acting as the board's skeletal frame, the Fibre-Dive board will provide years of fun and safety on residential pools. It features the same non-slip, sanded tread as seen on other S.R.Smith boards. All S.R.Smith boards come with a how-to diving instructional video to ensure maximum safety when using your board. Inter-Fab's 8-foot Duro Beam aquaboard is our number one selling diving board. It is constructed of two extra thick Douglas fir laminated wood core runners with fiberglass and resin protective outer coating for superior strength. The outer shell is comprised of durable uv protected acrylic with a non-slip sand tread surface for added safety. The diving board comes pre-drilled with two holes and stainless steel hardware. Available in four colors: white with white top tread, blue with white top tread, tan with tan top tread, and gray with gray top tread. 250 pound weight limit. Intended for light to moderate use on residential swimming pools. The diving board comes complete with instructions or just go to inter-fab.com to view a comprehensive assembly and installation video. Made in the United States and has a three year warranty. All Inter-Fab products must be installed in strict accordance to the manufacturer's safety guidelines and installation specifications. S.R. 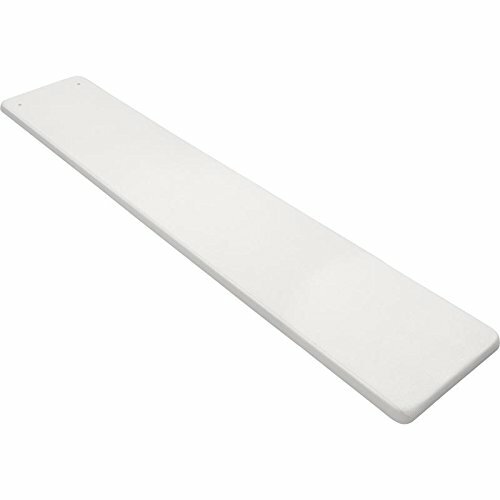 Smith's 8-Feet Frontier III replacement board has a durable acrylic outer body, a non-slip, sanded tread and is pre-drilled with two holes for ease in installation. With hand-laid fiberglass and resin roving over a laminated wood runner acting as the board's skeletal frame, the Frontier III board will provide years of fun and safety on residential pools. It features the same non-slip, sanded tread as seen on other S.R.Smith boards. Will retrofit onto the following S.R.Smith stands - Flyte-Deck II, 608 Cantilever, 658 Supreme and the U-Frame. All S.R.Smith boards come with a how-to diving instructional video to ensure maximum safety when using your board. TrueTread diving boards feature a revolutionary board surface that provides a modern, sporty look that is easy on the feet. Made with durable, marine grade diamond shaped composite material that stands up to salt, sun and hours of fun. Inter-Fab's 8-foot Techni Beam diving board one our most versatile diving board. It fits with any of our two bolt hole standard diving stands of appropriate length. It is constructed of extra thick Douglas fir laminated wood core with fiberglass and resin protective outer coating for superior strength. The outer shell is comprised of durable uv protected acrylic with a non-slip sand tread surface for added safety. The diving board comes pre-drilled with two holes and stainless steel hardware. Available in four colors: white with white top tread, blue with white top tread, tan with tan top tread, and gray with gray top tread. 250 pound weight limit. Intended for light to heavy use on residential swimming pools. The diving board comes complete with instructions or just go to inter-fab.com to view a comprehensive assembly and installation video. Made in the United States and has a three year warranty. All Inter-Fab products must be installed in strict accordance to the manufacturer's safety guidelines and installation specifications. S.R. 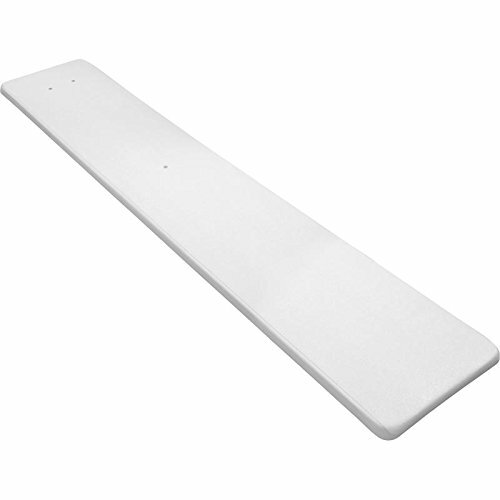 Smith Frontier III replacement boards are manufactured using solid laminated wood that is fiberglass reinforced at the core for additional strength. The outer body features a vacuum formed acrylic skin comprised of fiberglass and resin roving. The entire length of each board has a resin bonded and sanded non-slip tread. 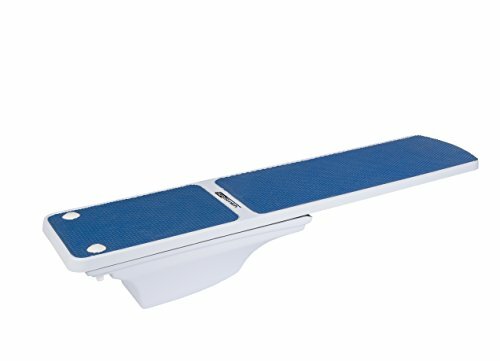 This diving board meets all APSP standards, includes mounting hardware and safe diving video, and is backed by a 3 year warranty. Dive stand is not included. 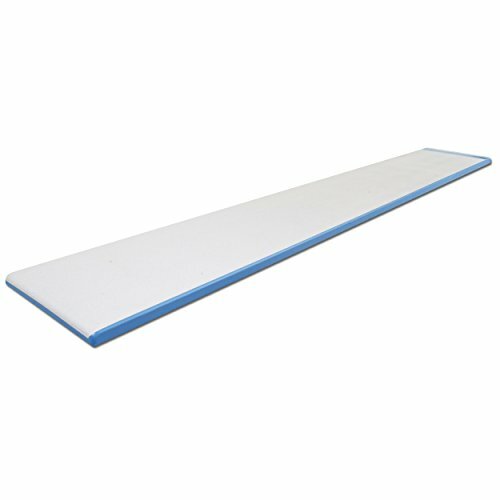 This board features a Marine Blue trim along the edges. Specs: 2-hole, 12 inches on center, 250 pound weight limit. Inter-Fab's 8-foot Duro Spring diving board is constructed of a 12" Douglas fir laminated wood core with fiberglass and resin protective outer coating for superior strength. The outer shell is comprised of durable uv protected acrylic with a non-slip sand tread surface for added safety. The diving board comes pre-drilled with three holes and stainless steel hardware. Intended for use on the 8-foot Duro Spring Diving Stand only. Available in four colors: white with white top tread, blue with white top tread, tan with tan top tread, and gray with gray top tread. 250 pound weight limit. The diving board comes complete with instructions or just go to inter-fab.com to view a comprehensive assembly and installation video. Made in the United States and has a three year warranty. All Inter-Fab products must be installed in strict accordance to the manufacturer's safety guidelines and installation specifications.